The Mint is also making a $25,000 donation to the Centre for Addiction and Mental Health (CAMH) Foundation in Toronto. The collectible was unveiled May 9 at Toronto’s CAMH. 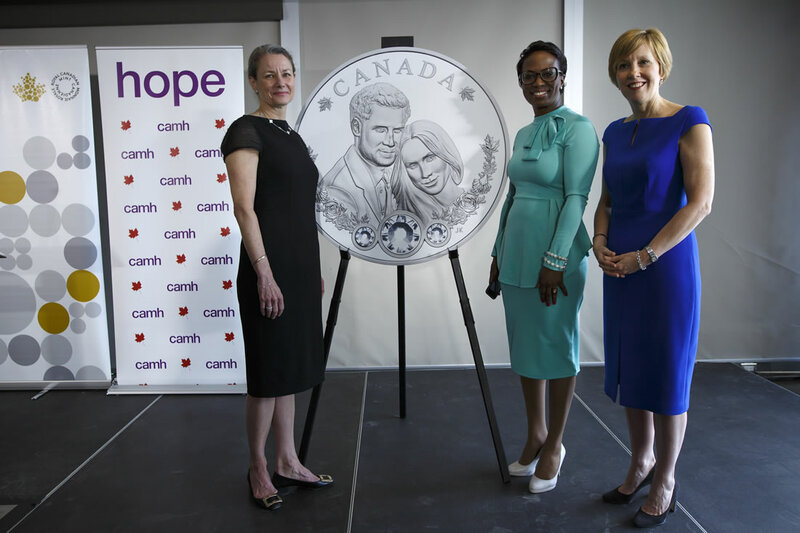 From left: Royal Canadian Mint President & CEO Sandra Hanington, CAMH Foundation President & CEO Deborah Gillis, and Parliamentary Secretary to the Minister of International Development Celina Caesar-Chavannes unveil a silver collector coin celebrating the royal wedding of Prince Harry and Ms Meghan Markle (Toronto, May 9, 2018). CAMH holds special meaning for Prince Harry as his mental health advocacy led him to officially visit Canada’s largest mental health and addiction teaching hospital in September 2017. "We have long been appreciative of Prince Harry’s devoted service to reducing the stigma of mental illness and promoting the importance of mental health," said Deborah Gillis, President and CEO of CAMH Foundation. "We are delighted to partner with leaders dedicated to helping people living with mental illness." 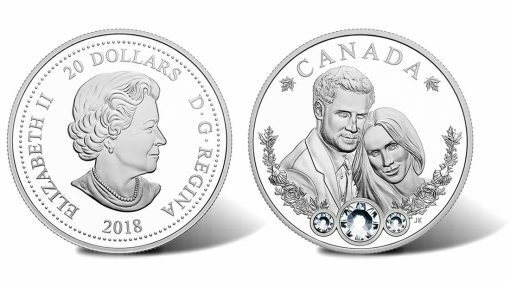 Like countless Canadians and royal watchers round the world, the Mint conveys to the couple its heartfelt wishes for a lifetime of happiness. "The Mint has a proud history of celebrating royal milestones and crafting a silver collector coin to congratulate Prince Harry and Meghan Markle on their marriage is our latest expression of Canada’s special attachment to the Royal family," said Sandra Hanington, President and CEO of the Royal Canadian Mint. Designed by Canadian artist Joel Kimmel, the coin’s reverse or tails side design features an engraving of one of the official engagement photos of the royal couple. It is edged with Canadian maple leaves intertwined with roses and escallop shells from Prince Henry’s coat of arms. For added symbolism, three genuine Swarovski® crystals edge the portrait, recalling the design of the couple’s three-stone diamond engagement ring. Obverses feature Susannah Blunt’s effigy of Her Majesty Queen Elizabeth. 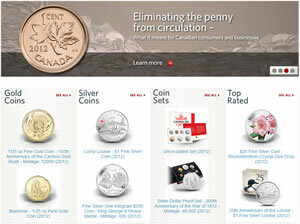 The new silver coin is struck in a collector finish of proof and is limited to a mintage of 15,000 pieces. 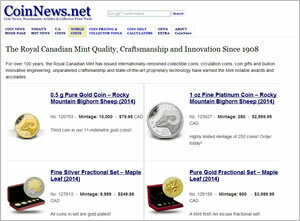 Priced at CAD 104.95, or about US $82, the silver coin is available directly from the Royal Canadian Mint’s online store. It may also be ordered using 1-800-267-1871 in Canada and 1-800-268-6468 in the United States.